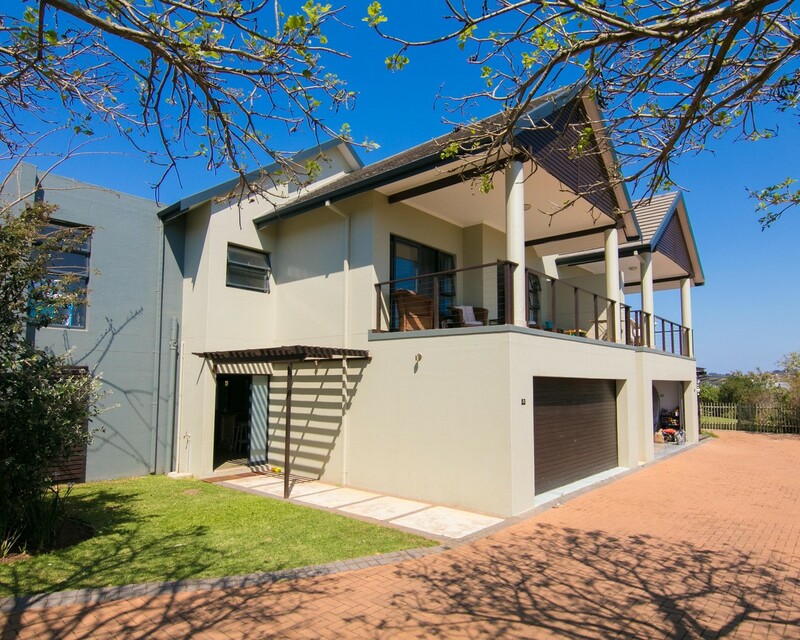 Sign up and receive Property Email Alerts of Houses for sale in Simbithi Eco Estate, Ballito. This semi-detached double storey home offers secure tranquil living with a lovely estate outlook and distant sea views. The down stairs area comprises a modern open plan layout with a striking kitchen servicing the lounge and dining area. Polished concrete screeded floors enhance the relaxed ambience of this area which opens onto a covered verandah and a private garden area. Three of the four bedrooms are upstairs together with a pyjama lounge upstairs and a small study area. This is an ideal family home or lock-up-and-go holiday retreat in one of the top estates on the North Coast. Situated 43 km north of Durban, Simbithi's enjoys a prime location and its master planned balance of natural areas, exceptional leisure amenities and developed areas has played a large part in the estate's historical success on the North Coast of KwaZulu-Natal. Sign-up and receive Property Email Alerts of Houses for sale in Simbithi Eco Estate, Ballito.